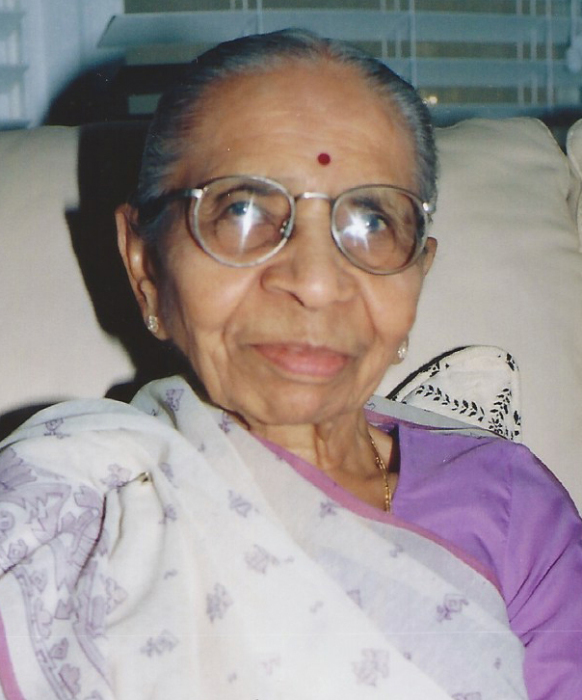 KAMLABEN (KAMUBEN) T. PAREKH, age 95, passed away peacefully in the morning of Wednesday, January 23, 2019, in Raleigh, NC. She is survived by her two daughters: Vibhuti and Sheela (Smita) Parekh; sons-in-law: Kirit and Bipin; grandchildren: Paras, Ankur, Avani and their families, and all extended family members living in India and USA. A memorial service will be held at 3:00 PM, Friday, January 25, 2019, at L. Harold Poole Funeral Service & Crematory, 944 Old Knight Road, Knightdale, NC. In lieu of flowers donations may be sent to www.heartlandhospice.com in memory of Kamlaben Parekh.